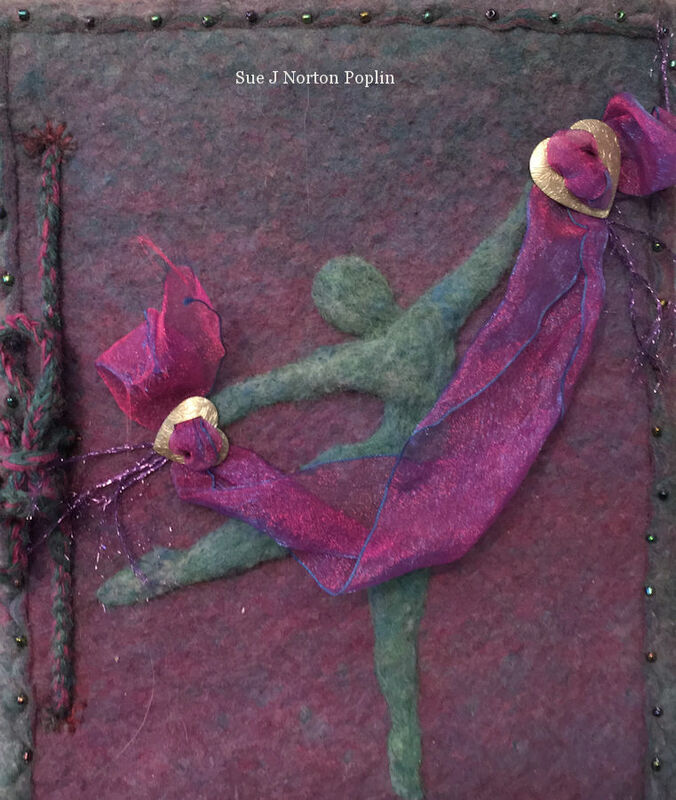 “The Dancer” is a felted wool book cover I made for a Women’s Caucus for Art project in which 12 artists participated. Each artist chose a color and passed her book on to the next artist on the list. That next artist did a piece of artwork exploring the color purple and then the book was passed on to the next participating artist. My book contains 12 different interpretations of the color purple by 12 different artists.